WP Pinner sets itself apart from other plugins we’ve looked at in the past, by offering users the option to auto-post images from WordPress directly to Pinterest, with minimal effort. What started out a private project for personal use, Mark and Wilco decided that they would rather share it publicly. Once you’ve installed the plugin, all you’ll need to do is login to your Pinterest account, and select the default Pinterest board you want your images to appear on. You can also choose whether or not to enable WP Pinner on posts and pages, and choose what pins link to – your home URL, post URL, a custom URL or nothing at all. 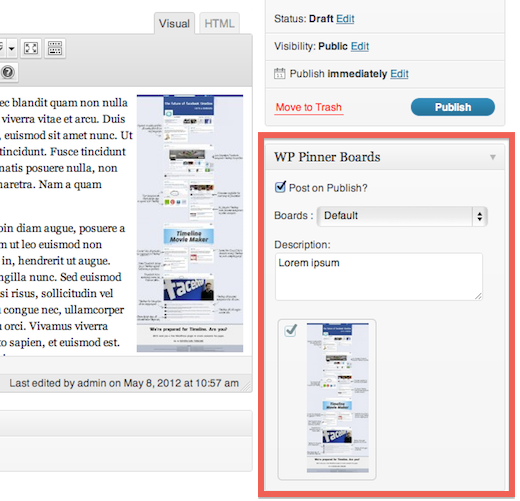 The great thing about WP Pinner is that it gives you quite a bit of flexibility when it comes to each post itself. When creating a post, you can choose whether or not to auto-post to Pinterest, in case you don’t want to flood your boards with every single thing you share on your blog. If the post has multiple images, you can also select the image you want to use, add a description, and choose which board it will be pinned to. Publishing your post will see the image pinned to Pinterest immediately. At the moment, you can’t post videos to Pinterest using WP Pinner, but it’s definitely a feature on the to-do list, along with scheduled posts. Once the plugin has been updated to include scheduling, even if you don’t use WordPress on a regular basis, you can use WP Pinner to schedule your Pinterest posts, a feature which would no doubt come in handy for some power users. Aside from taking all the hard work out of sharing your WordPress blog posts on Pinterest, WP Pinner throws in a bit of analytics for good measure. From the comfort of your WordPress dashboard, you can find out how many Pinterest users clicked through to your WordPress post, as well as see how many likes and repins each post received. As far as analytics are concerned, WP Pinner does have a bit of competition in the space in the form of Pinerly (which we covered here) and Pintics. WP Pinner sets itself apart from Pinerly in one significant way. The process of posting to Pinterest is much easier and more streamlined using the WordPress plugin. And if you’re already sharing a lot of content on WordPress, using the automated plugin is far more efficient than Pinerly’s two-step process. Of course, on the flip side, Pinerly allows you to keep track of content you’re sharing on Pinterest, from anywhere around the Web. We’re fans of anything that makes our lives easier, and automation is always a welcome addition to any service we’re using on a regular basis – and WP Pinner hits all of those points, and does it well. If you’re running your site or blog using WordPress, WP Pinner is a natural choice for heavy-duty Pinterest users, and if you haven’t given Pinterest a try yet, this might be a great way to drive a little bit of extra traffic to your blog. WP Pinner is the perfect companion for anyone who’s serious about both WordPress and Pinterest. Of course it would be no fun if we didn’t give you access to try the plug-in for yourselves. Wilco and Mark have generously promised that the first 100 readers to sign up using this link will be included in WP Pinner’s first beta group. 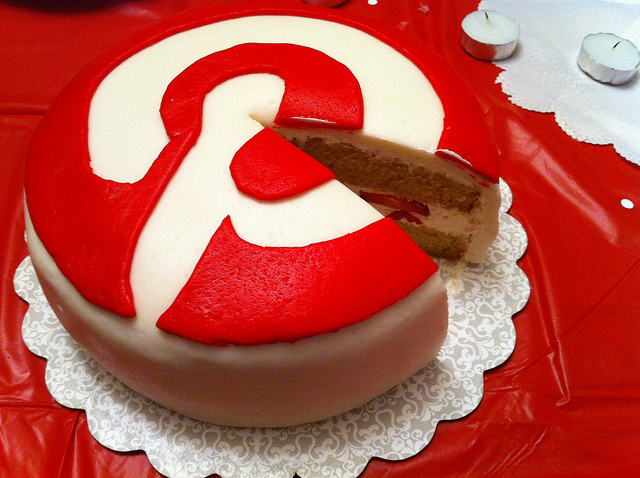 Looking for more interesting tools to use with Pinterest? Be sure to check out our list here.